When you make sure that you are working with a certified plumber or certified plumbing company you are giving yourself the extra boost of confidence that you need to now that your job is going to be done right by a professional who is committed to providing quality work. 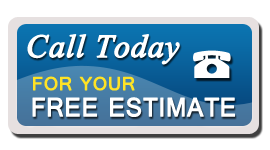 Professional plumbing services provided by licensed, insured plumbers is exactly what you can count on when you contact us for your plumbing needs. No matter what the job, when you have plumbing work or repairs that need to be done, calling us means that you will be working with plumbing professionals who are committed to more than just fixing your problem… we want to earn your trust so you’ll count on us every time.